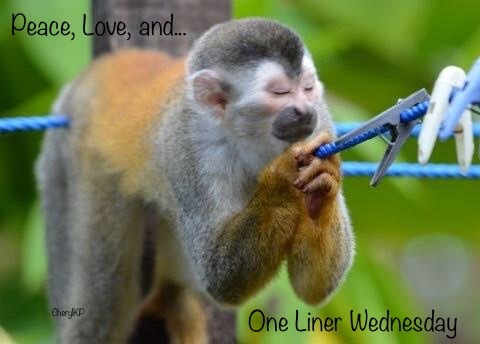 Linda hosts One-Liner Wednesday. Visit her blog to see who else is participating this week! Previous Previous post: We need more bins. And Advil. And wine. Next Next post: SoCS – Entertainment plus a monthly stipend for the Kleenex corporation. Well, I love that quote. I couldn’t agree more. Your connection to Mother Earth. True! We must remember by digging. I’ve had moderate success growing things in the earth. Some things do better than others. Still I must dig. It just feels right. My grandmother would approve this message (so would my wife).